Loved the area, but too much motor coach time & not enough time to just check out the area or just relax with the group. Food was great. The tour guide did a very good job. It did'nt take long for him to know our names and he knew the area very well plus would give the history of the area we were in. Collette does an excellent job of making trips interesting and organized.They have wonderful employees. A great overview of the area. Bucket list trip. Traveled with Colette before and had to do this one with them too. We enjoyed everything. The extra step on guides, ranger, etc. are the reasons we go with a tour group. Our tour manager and driver were very knowlegable and helpful too. I already complete this type of info at the end of the tour. Why are you sending this to me again. A whole day on a bus riding the Cabot Trail was a too much. If this had been my first Collette Tour, it would have been my last. I recommended this tour to friends who went traveled with us. I am so sorry I did. 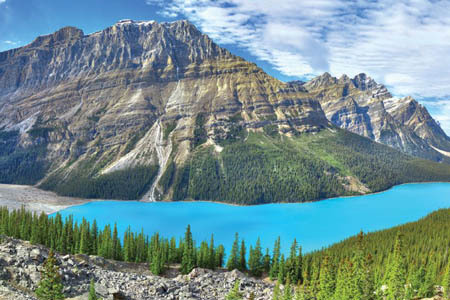 Collette is a first class tour company. The itineraries are well thought out and you learn a lot. Hotels were great. Food was great. Itenerary was great. Tour director and driver were great! 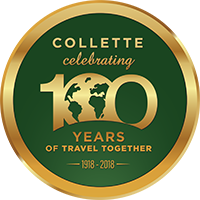 Collette has always been a 5 star travel company. We've traveled with them many times and will do so again. Great tour directors, drivers, hotels, and food. Very good optional choices. There were too many people on the tour with only 1 door for entering & exiting the bus. Hotels & locations were very good except for hotel in Baddeck. Should include a tour of each of the major cities. If we hadn't gone a day early we would not have had a chance to experience the beautiful city of Halifax. Our bus driver was excellent he was very friendly & felt very safe in his hands. Tour guide was good. 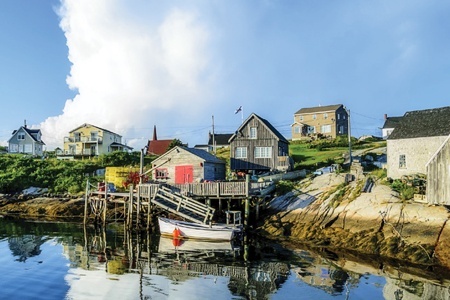 Going to Peggy's Cove, the experience of walking on the floor of the Bay of Fundy at Hopewell Rock, the covered bridges of New Brunswick & the beauty of Prince Edward Island. Our guide at Hopewell Rock was so knowledge & engaging. Tour guide and bus driver were excellent. Hotels were first rate, but would have loved a bit more variety at breakfast. Maybe a little more time at the covered bridge and light house stop. Beautiful trip in my beautiful country. A lot of new expériences (cooking with chefs, Celtic college, learning how to properly eat a lobster etc). The sceneries was beautiful, most of our hotels were closed to water, our tour manager and bus driver were fantastic. Every thing was perfect, except for too much time in the bus, some hotel should have been closed to our avenues. I have traveled with Collette several times and have always received good service. The Maritime trip was the best. Hopewell Rocks, Ludenberg, Fundy Trail, Green Acres. It was an amazing experience to actually see low and high tide at Hopewell Rocks and along the Fundy Trail. We would go on another trip with you. Everything was fine except for the very high cost of transportation. Our small group of 8 did our own at a savings of over a hundred each and with only one change instead of your two. I would travel with Collette again. I had an excellent tour guide (Goeff), great accommodations, and a well planned itinerary. Fantastic tour guide (Goeff)😊 With so many great memories, it's difficult to choose between the Bay of Fundy and the town of Lunenburg as the best part. I enjoyed the tour and places visited as the tour was done in reverse there were a number of changes made to balance out the days. Great tour Loved the tour manager. Loved learning about the history and culture of the area. Hopewell Rocks and Fundy Bay were incredible. Tour manager was the best! They did a great job picking a host and driver. Pace was good. Bad part was ticketing by the home office not giving us enough time in Toronto to get through customs. Two hours minimum is required or more. Food, lodging, events, guides, pace and history were all good. Several things were our favorites including the Gaelic College, Cabot and Fundy trails. Lundenburg was wonderful. Great trip, wonderful tour guide, lousy flight schedule. We had an absolutely fantastic tour guide, Jeff Thomson. We enjoyed the beautiful scenery and all the local guides were interesting and really added to the trip. Our only complaint was the early rising time on the last day. We had to leave for the airport at 3 AM which somewhat ruined our last evening and we felt cheated out of a nice hotel breakfast and leisurely morning the last day. When we booked the trip we were told that our flight was going to be at 2 PM which we thought was perfect. We didn't like that our flight schedule was changed. I had two favorite experiences Peggy's Cove and Luneburg. I do wish we had had more time in Luneberg. In retrospect I would have skipped the maritime museum there and instead would have explored all the wonderful shops in the town. The local guide in Lunenburg was excellent. It was our first tour and overall was excellent. I would take another tour with Collette. There were several memorable experiences but Fundy Bay was impressive. Guide, driver, itinerary and excursions were excellent. Hotels were mixed ( two did not have complete privacy in the rooms, one had poor housekeepeing, one was far away from the places to be visited). They are polite, knowledgeable, fun to be with people. The trip was everything that was listed in the tour listings. Excellent tour guide and driver, hotels good although 1 night I was kept awake by wedding guests (Rodd Charlottetown), last day wasted because we had a late night flight we spent the day at the Oak Island resort with little to do and in the middle of nowhere would have been better in Halifax like the previous tour. The hotels, the dinners, the information given as to the history of each place visited. We got the worst meals and the worst hotels/motels. The only passable hotel was the Hilton in Saint John. Trip well organised, interesting venues, not all to my taste but characteristic of the Maritimes. Not at all impressed by being left in a hotel in the middle of nowhere with nothing to do for a whole day before return to the UK at 11.45pm, the tour manager having left at 7.30am and having no suggestions how we could fill our time. Group too large for my liking at 39. The worst tour guide we have ever had. The tour guide was the worst we have ever had, he had no clue on what was going on. We even ate at a gas station with no other options. Also an included lunch was scheduled at a place which was closed for more than 3 months. Hello, thank you for bringing this to our attention. We apologize for your experience with the tour manager and the lunch stops. We have passed this along to members of our team for review. Someone from guest relations will also be reaching out to learn more about your experience. My views have not changed for the better. Better organisation of the your. Taking us to places for photographs when the sun was behind the subject is not conducive to good photographs, particularly when the area had bee bypassed earlier in the day when conditions were perfect. Taking us to museums and giving us half an hour to see them. Taking us to places that had closed down. I have already done this, and also the task below. You have it. Hello, thank you for sharing this feedback with us about the tour. We have passed this along to members of our team for review. \n\nWould you like us to set up time for a member of our Guest Relations team to reach out to you about your experience? Great tour but needs some improvements. Very good hotels, good bus, great tourist stops, very good tour director. However, there were 45 people on this tour of the Maritimes. This was way too many people. It took a long time to get on and off the bus, and there were lengthy waits at bathroom stops. There was also too much time riding on the bus. I did not like that on the last days we were stuck out in the countryside at a resort. This made it way too expensive to hire a town car to get back to the airport in Halifax. The last day should be in the city you're leaving from. My flight didn't leave until 7:30 PM at night. I would have loved to be in Halifax for the day exploring the city. Very good hotels, tourist stops and professional tour director. Highlights were Peggy's Cove, the Bay of Fundy, P.E.I.,Mahone Bay, Lunenburg and the awesome sight of the changing red and orange colours of the trees. Absolutely beautiful! Well-planned, courteous guide and driver, saw many interesting sites. Peggy’s cove and Lununberg and Hopewell Rocks were my favorites, however there was a lot of interesting areas. Very well organized. Tour guide well prepared and well versed in local history. Company offers so much information to tourists - days packed with sights and history. One feels taken care of when problems arise. Delivery of guests to right gate at airport appreciated, also pick up at airport. Many memorable experiences. Favorite was being able to go to place of Acadian expulsion since I am Acadian descendent. Did enjoy the French influence of the area. The Tour, tour manager, and bus driver were all excellant. I purchased airfare through Collette, and I wish that Collette could have upgraded my seats to premium economy. Also, I originally was booked to leave Nova Scotia via West Jet, but West Jet cancelled their flight, and Collette booked a new flight through United. I realize that this flight change wasn't Collette's fault, but it did cost me extra money. However, as I said in my opening sentence, the Tour inself was great. Great Tour manager and bus driver. Also, the tour locations that we visited were all great. Both the tour guide and bus driver did a great job of managing this tour. the Canadian Maritimes were a beautiful place to visit. Everyone at Collette has always been most professional. My husband & I have traveled several times with Collette & we always sing their praises to anyone we meet when talking travel. There is so much history & beauty to take in on this tour...from the rocky shore of Peggy's Cove, the interactive learning experience at the Gaelic College, the gorgeous beaches of PEI, the Fundy Trail (with a wonderful & enthusiastic guide) to the amazing architecture of Lunenburg we were offered something new at each stop. The highlight though had to be the Hopewell Rocks. To be able to walk on the ocean floor at low tide & see these amazing rocks created a memory we will never forget. Hello Phyllis, we appreciate you bringing this to our attention. Thank you for sharing your experience with the air transportation. It looks like you have spoken to a member of our team in guest relations about this matter. We appreciate your feedback and look forward to traveling with you again soon! Thought the trip was good. It was well planned. Enjoyed the stops we made. My favorite was Rockwell and the Fundy Bay. Also enjoyed PEI. In fact could have spent another day there. The tour was managed well but just not very interesting. There were too many long days on the bus. Meal times were very inconsistent which meant that I was "starving" and tired of the bus seats on several days. Don't give me the long way to go routine. The days should have been planned shorter. 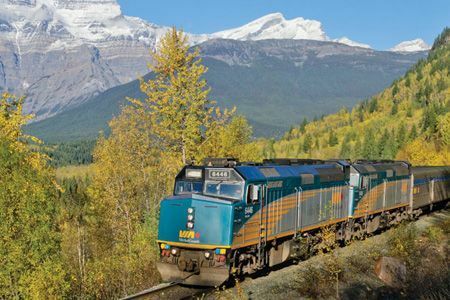 There should be tours based on smaller groups using comfortable means of travel. Too many early mornings and long days on the bus. First of all your guide was excellent.. I was not very impress with driver and I explain reasons in my survey that we give to the guide. Also any bus driver should check that all equipment work in the bus before going out. 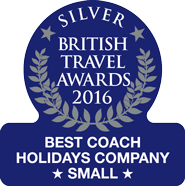 Thank you very much for my travel agent discount. The last day was a waste of time. I wasn,t interested in fishing. Our guide kept us informed all the time. Our bus driver was very nice. The hotels were very good. Our stops were very good. As I said before the last day was not very good. Spent all of our time being told about fishing. I wasn,t interested in fishing. The tour guide's knowledge, leisure time, step on guides were all great. Their professional responses. Materials were very well written and sent in a timely manner. Guide and bus driver were a wonderful team! Knowledgeable about the area and responsive to needs of the group. Excellent tour director and driver who knew the area well and shared it. There was efficient planning so that there was time to enjoy the exquisite sceenery. There was a unexpe ted bridge closure thst was carefully worked around. The scenery is beautiful. I had not realised how much of the early First Nation and French inhabitants had been surpassed by the British rule. The tour helped to see what was being done by the First Nation population to share their recovering culture. Tour was good. Some accommodations could have been better. Tour director was average. Bus driver was excellent and provided additional information about sites as he lived in the area. Georgeous scenery and great exposure to the local culture. Great itinerary and a wonderful tour guide-- she enhanced the experience of our travels with her knowledge of the history and culture of the area. The accommodations were nice and comfortable and group meals exceeded our expectations. I loved the Alexander Graham Bell museum. It contained a wealth of information about this fascinating person that I do not remember being taught in school! Discouraged with a possible new trip. UIn past trip the tour guide was outstanding and we expected the same but was sadly disappointed with this experience. Several select stops very not favorable and the last hotel was not up to standards. 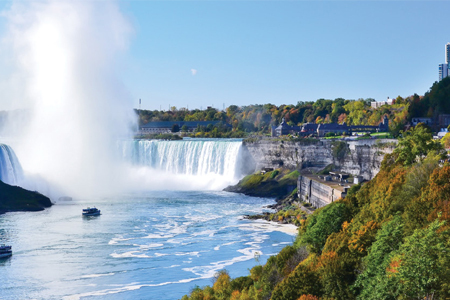 Tour director, Dan did an average job and often made incorrect statements re: Canada. The hotel in P .E.I was about 40 minutes away from everything worth seeing, making for long bus rides. Bus drivers GPS often took us in the wrong direction. Not up to Collette standards. Excellent and I'm sure one of the best tours anywhere. Would love to do another trip but only if you have a half day I can rest from the grueling agenda. The service was unbeatable, the details were very well managed and the people were great!! Only thing is having to get up so early for travel. The tour manager is one of the best I have ever seen in action. She was excellent in every sense of the word and kept things moving all the time. She knows her stuff!! Again, the pace was somewhat grueling. Fundy bay experience was the best followed by just getting to make a bunch of new friends. well organized and performed.....met all expectations. THANKS ! All the consultants that I dealt with over the phone were polite and very helpful. All queries were dealt with promptly. 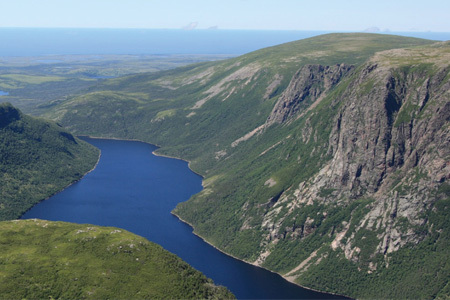 I hadn't heard of Collette tours until we were looking to do a Maritimes Tour. We were very impressed with the service and would look at touring with Collette again and I would recommend the company to friends. First, you stated that if you arranged our flights, we would get a car to take us to and from the airport but you set up the 3 flights from San Antonio to Halifax with not enough time to get from flight to flight. If you are dealing with older people there should be time between flights. And because of this we had to arrange our own flights with the understanding that someone would pick us up at the Halifax airport. We repeatedly ask about this and repeatedly were told there would be someone. We had to pay $121 for long term parking in San Antonio. We chose Delta because you chose it. DELTA WAS THE WORST AIRLINES I HAVE EVEN BEEN ON. ALL 5 OF THE FLIGHTS WE RODE ON , 3 TO HALIFAX AND 2 BACK TO SAN ANTONIO WERE DELAYED. ON AUGUST 1ST WE GOT AN ALERT FROM DELTA THAT THE VERY FIRST FLIGHT WAS DELAYED SO MY DAUGHTER HAD TO CALL DELTA AND GET DIFFERENT FLIGHTS FOR THE REST OF THE TRIP. THIS MEANT THAT WE GOT THE WORST SEATS. THE PLANES WERE CROWDED, THE SEATS ARE TOO SMALL AND THE BATHROOMS WERE DIRTY. ON THE FLIGHT FROM NEW YORK-KENNEDY, THERE WAS A DELAY FOR BOARDING OF OVER AN HOUR. THE STAFF LET PASSANGERS BRING BIG BAGS ONTO THE PLANE AND THEN WE HAD TO WAIT WHILE THEY TOOK SOME AND LOADED THEM UNDERNEATH. THEN WE WERE ON THE TARMAC FOR 4 HOURS BEFORE THE PLANE TOOK OFF BECAUSE WE HAD MISSED OUR SPACE. DURING THIS TIME THE STEWARDS LET PEOPLE BUY AS MANY DRINKS AS THEY WANTED. SEVERAL ADULT CHILDREN GOT DRUNK AND DISTURBED EVERYONE ELSE FOR THE 3 AND 1/2 HOUR PLANE FLIGHT. THE STEWARDS DID NOTHING ABOUT THIS. AND GUESS WHAT ???? because our plane was so late getting into Halifax, there was no one to pick us up. There was no message from our tour guide at the Halifax airport. So we had to take a taxi ($70) to the hotel. Do you know how scary that is when you are in a strange city, late at night. Tour guide was nice and knew his information. I wish I would have talked to him about the bus seating arrangement.. He moved us just two seats a day. That meant that many of us never got to the front of the bus. We always had to wait for the people in the front to get off the bus. If you were a woman, you always had to wait in a line at the bathroom because the woman at the front of the bus got off first. I should have talked to our tour guide about this but didn't. You should tell him. Bus driver, always helped us off the bus and I appreciated that. I would give him an outstanding because of the way he got the bus around the car that was parked in a no parking zone at the Citadel. He always made me feel safe when he was driving. The last day he looked very tired. August 2nd, your itinerary says that we would take a tour highlighting Public Gardens,---Citadel. We just drove by them. We should have gone into the Citadel and stopped for a short time at the gardens. We did go to the waterfront. The Inverary Inn Resort was the worst place we stayed. I would not recommend it. Several people complained about the hard mattresses. I had a back ache both days. Their TV's did not work,Their staff were young and did not know their jobs. The breakfast included canned fruit and the least selections of other food. They promised smores at the bonfire. Many people waited and waited, several went down to the office. It was a big mess and the tour people were not happy. The other hotels were good, but I wanted to write that the Hilton Saint John serves terrible food for dinner at very high prices. Many of the sites and experiences were great. Peggy's Cove, Alexander Graham Bell Museum, the ferry rides, trying blue mussels, the bed and breakfast we had dinner that same day. I especially liked Green Gables but would have liked to stay longer. The Confederation Bridge and Hopewell Rocks, walking on the ocean floor, and the barbecue salmon. The bad part of the tour, too much time on the bus with not enough breaks. I, also, think that Collette should discuss with the hotel about offering their tour clients tasty, reasonably priced food. Thank you for reaching out and letting us know your feedback. We are in the process of reviewing it and a member of our Guest Relations department will be reaching out to you shortly. Please accept our sincere apology for the conditions you experienced while on tour. We want to constantly better our product, service, and customer satisfaction. We encourage all feedback as it allows us the opportunity to identify problems and strive to make the necessary corrections. Another good traveling experience with Collette. Our purchases were of good quality although not many. We only buy a couple large t-shirts to make pillows to represent our tour and a music CD for back ground music for the DVD of the tour I make, and possibly something we can use as an ornament to put on our travel tree. Yes I would recommend most of the places we bought from. Attached are some pages from our album that were things that really interested us. Good tour. Too much time riding on the coach through the Cabot Trail. If you'd seen the first half--well, the second half wasn't different fro the first half. The hotels seemed to be somewhat of a lesser quality than usual with Collette. Bay of Fundy portion was very beautiful. Awesome guide and bus drivers. Extremely knowledgeable and symphatetic. The Collette staff were wonderful and professional, especially our bus driver , Hal.. our tour guide was informative and entertaining. Our group seemed overall to be pleased with the pace of the journey as well as time spent at various sites, venues and picture taking opportunities. We would have loved to have had more time at historic sites rather than shopping opportunities but we do know that gift shops for some are important. Overall we loved the journey and look forward to more adventures with Collette we hope that other discounted trips come up so we can travel with you. We totally enjoyed the Cabot Trail, Pegg'sCove, Fondy Bay hike, Prince Edward Island, Gallic College and the information and trip to visit the Indian Community. Guides, there were super. Overall scenery, people and lodging were super. Food was good and plentiful. Tours of small fishing villages that were quaint and beautiful added to the overall experience. Final dinner was somewhat weak. Seeng and learning more about the mysterious Oak Island topped our list.. We are enthralled since watching the television documentaries. We believe Prince Edward Island was our overall favorite location! Thank you for a wonderful, busy yet relaxing ten day experience. 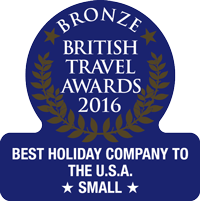 We look forward to being able to afford more adventures with you.. Keep us informed about future discounted tours. Thanks again. Excellent trip. Enjoyed the pace. The tour was well developed with interesting events daily. The hotels and tour director, Chris Rustin, were excellent. Chris enjoys being with people and showing the fascinating places and introducing the people who taught us about their specialty. We were very fortunate that all the people in our tour group were very congenial, for that added to the enjoyment of the tour and events. We would have enjoyed having a "rest" day mid way through the tour, for we were tiring, but, I know, that would have been a challenge. There was no stand out place, for there were so many special places. Customer service was Excellent from the initial purchase through the tour itself. We very much liked the convenience of the sedan service to and from the airport. The tour is what I would describe as a highlight tour since we moved from place to place without time to visit places in depth. This is what was expected. The accommodations in Halifax and St. John were very good while the accommodations in Baddeck and Western Shore were ordinary. With one exception, the salmon at Fundy, the provided meals were ordinary mediocre. The steak option at the Hopewell Rocks was inedible. We got very tired of scrambled eggs, bacon and sausage, and potatoes for breakfast. The Westin in Halifax was an exception. All local culinary experiences listed in the itinerary may be substituted with a non-seafood alternative. *During your visit to Hopewell Rocks, the walk on the ocean floor may not be available based on the timing of the tides. **Saint John’s Market may not be available — it is open Monday through Saturday. Should you be in Saint John on a Sunday, you will have a morning at leisure. Our air passengers will arrive and depart from Halifax airport. On day 11, all transfers will depart from Western Shore for Halifax airport. Return flights should not be booked from Halifax prior to 11:00 a.m.
***Dates confirmed at Rodd Crowbush Golf and Beach Resort are outside of Charlottetown; however, all scheduled activities will remain the same.